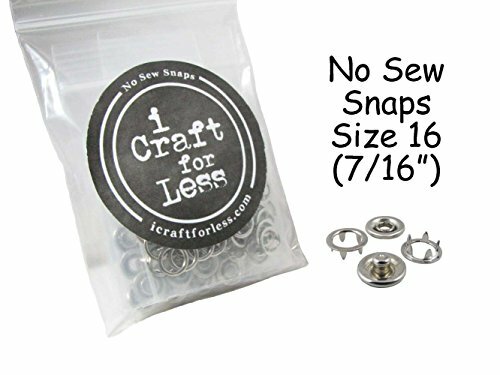 100 SETS - OPEN RING PRONG NO SEW SNAP FASTENERS (400 Pieces) - SIZE 16 (7/16'') (Silver) by I Craft for Less at dstclub.org. MPN: Q100NSS16. Hurry! Limited time offer. Offer valid only while supplies last.